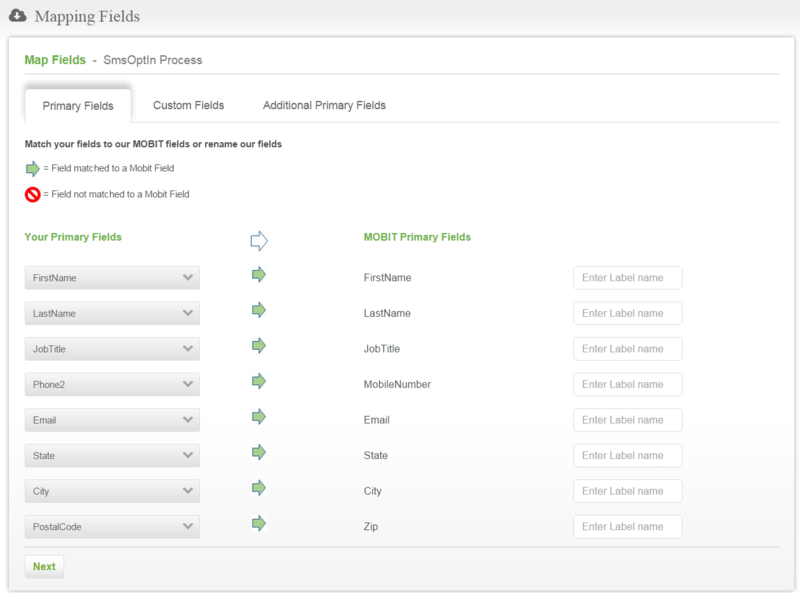 If you add a new custom field in your Infusionsoft account, it will not appear in your MOBIT account until you map to this new custom field. 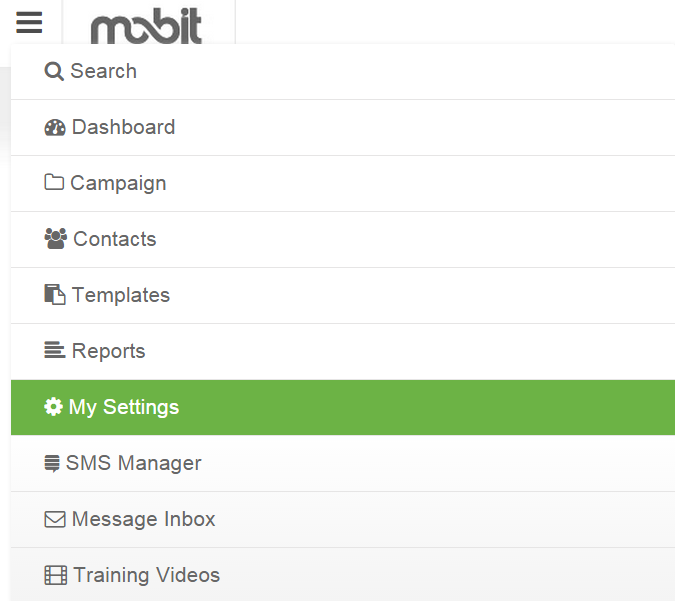 Likewise, if you change the phone field your Mobile numbers are placed in Infusionsoft, you will need to re-map your Mobile Number primary field in MOBIT to your new phone field. MOBIT will not automatically pick this change up. Navigate to the My Settings of MOBIT. Select Start Sync.The following pop-up will appear. Click continue. Remap any Primary Fields if desired. Click Next to continue. Repeat the same process for both Custom Fields and Additional Primary Fields, clicking Next to progress from both screens. To map a new Custom field to MOBIT, find the name of your custom field, and from the drop down, select Create a new custom field. Select whether you are planning to send an SMS to your Infusionsoft database the click Next. Select whether you would like to be notified when your sync with IS is complete then click Start Sync. The time MOBIT takes to resync your account will depend on the number of contacts you have, however, you are free to use your account normally while sync runs in the background. You can click the sync icon in the top right of your screen to check how sync is progressing on your account.